While clinical outcomes have been reported for anti-reflux surgery (ARS), there are limited data on post-operative encounters, including readmission, and their associated costs. This study evaluates healthcare utilization during the 90-day post-operative period following ARS including fundoplication and/or paraesophageal hernia (PEH) repair. Data were analyzed from the Truven Health MarketScan® Databases. Patients older than 16 years with an ICD-9 procedure code or Common Procedural Terminology (CPT) code for ARS and a primary diagnosis of GERD during 2012–2014 were selected. Healthcare spending and utilization on emergency department (ED) visits, performance of outpatient endoscopy, and readmission were examined. Reasons for readmission were classified based on ICD-9 code. A total of 40,853 patients were included in the cohort with a mean age of 49 years and females comprising 76.0%. Mean length of stay was 1.4 days, and 93.0% of patients underwent a laparoscopic approach. The mean cost of the index surgical admission was $24,034. Readmission occurred in 4.2% of patients, and of those, 26.3% required a surgical intervention. Patients requiring one or more related readmissions accrued additional costs of $29,513. Some of the most common reasons for readmission were related to nutritional, metabolic, and fluid and electrolyte disorders. 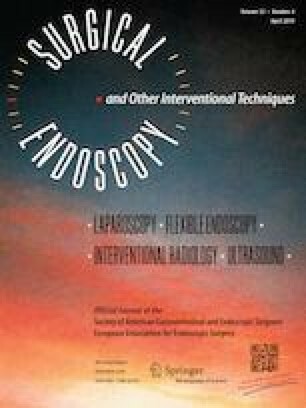 Presentation to the ED occurred in 14.0% of patients, and outpatient upper endoscopy was required in 1.5% of patients, but with much lower associated costs as compared to readmission ($1175). The majority of patients undergoing ARS do not require additional care within 90 days of surgery. Patients who are readmitted accrue costs that almost double the overall cost of care compared to the initial hospitalization. Measures to attenuate potentially preventable readmissions after ARS may reduce healthcare utilization in this patient population. Effort on this study and manuscript was made possible by a VA Career Development Award to Dr. Funk (CDA 015-060). Anne Lidor, MD, MPH, Kyle L. Kleppe MD, Yiwei Xu MHS, Xing Wang PhD, Jeff A. Havlena PhD, Jake Greenberg MD, EdM: nothing to disclose, Luke M. Funk MD MPH: Effort on this study and manuscript was made possible by a VA Career Development Award to Dr. Funk (CDA 015-060). The views represented in this article represent those of the authors and not those of the DVA or the US Government. Dr. Funk declares no conflicts of interest related to this funding source.